New directions, techniques, practices & structures for massage therapy, are shared free before, or as part of, some of our community gatherings/ workshops/ circles. People who've attended past therapeutic chest/breast massage workshops will be able to share Breast Massage at all our gatherings where we do massage activities. 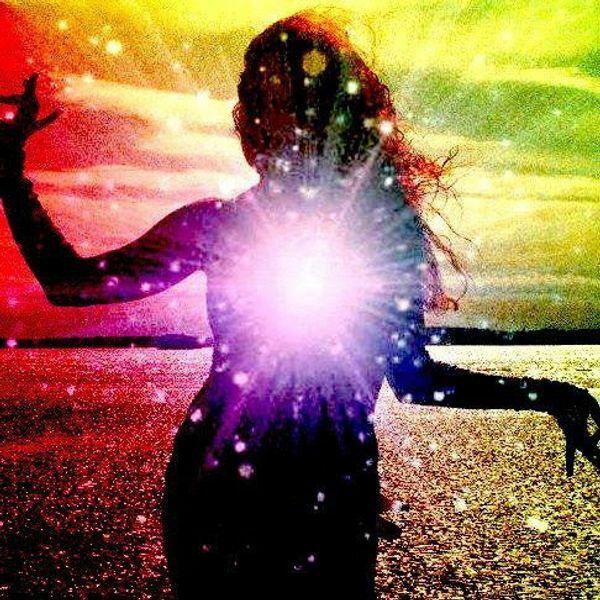 Open/release your Breast-Chest/ heart area, & keep it open so you can embrace & LIVE all life has to offer. Not sexual/sensual. Celebrate Your Body & positive BODY Activism! Learn It & Pass It On! We start on time, if you arrive late, just join in! No passive listening to lecture; completely participatory from the beginning. A practical workshop in a fun, community gathering setting, which focuses on simple, easy to learn massage techniques taught without technical language so *everyone* can learn these techniques in a way that can be easily & quickly passed on thru our communities. Breast-chest well being practices most people aren’t familiar with will be shared, + new patterns for thinking about breast-chest wellness. No experience necessary. Participants need to be willing to give as much as they receive. Reservations can be made up until the morning of workshop: You can say which table group you want to be with either on the note area on paypal, or on 24hr voicemail(does not accept text messages) at (310)936-3150. Wear snug T-shirts that hug the body, or stretchy jogging bras/exercise tops. Bring water; extra massage tables always great! Box set at side of gathering & donations accepted from those it's not a financial issue to who'd like to help pay for our rentals, website fees & teacher, in our ongoing fundraiser which keeps our gatherings free or by-donation/no-one-turned-away. Breast cancer websites teach self massage, & their walks have practitioners offering breast/chest massage: But many massage therapists still won’t massage this area, & now many physical therapy clinics prohibit therapists working on the front of the torso on men or women; so people are losing the benefits of countless therapies developed over the years to treat this part of the body. Many practitioners willing to massage breast-chest area transfer technique intended for rest of body which is not as effective, or appropriate for breast-chest area: Globally there are still only limited # of teachers trained in massage technique specifically for the breast-chest area. It’s a powerful form of activism to teach Full Chest / Breast Massage *to each other* & pass it on to our communities inspiring consciousness worldwide about the importance of celebrating pride & health in this part of our body. It’s up to human beings *as a community* to shed dysfunctional patterns from our communities. Join us in supporting each other to healthily circulate & incorporate this part of our body into our life --not just for breast/chest wellness, but for total wellness, mind body & spirit; & then encourage each other to share it in the daily places that human beings live & meet! * relieve breast/chest pain, & minimize recurrences. * create & maintain healthier breast-chest tissue. * new concepts for healthier posture & pride in body image & movement. * repattern chest-breast area to free you to natural more effective breathing patterns & minimize Asthma. * relieve stress & depression. * taught with a structure that encourages communication with others & oneself. My main goal in workshops is a ~*Celebration of friendship*~ & Enjoying & Celebrating Our Bodies! *~ Description of WHIMSYUM Basic Massage Style is being updated & will be posted soon. As the founder of The WHIMSYUM, in the interest of making my time available for the maximum impact for the globe (since there are always more things that I can be doing to enrich the community --than I have time for; ...& in the time I spend with 1 person I can be spent teaching a whole group: Training is just available thru the free workshops above & you can sign up here: https://groups.yahoo.com/neo/groups/the-whimsyum/info where any additional workshops or training would be posted. Look forward to your releasing people into peace & bliss thru these new massage styles! Content copyright . WHIMSYUM.COM. All rights reserved.